The purpose of the scrap yard is simple. A place was needed to put samples that might not be completely done or need tidied up a bit. Since many great techniques are in the samples, I decided to go ahead and post them here so you can benefit from them. The samples are provided as-is, however feedback on them is still welcome. Smooth bouncing balls, with nice alpha blending around the edges. 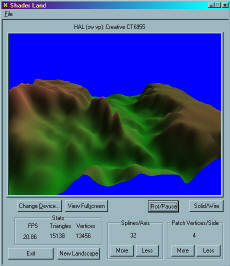 Demonstration of simulating a wood surface using procedural textures. 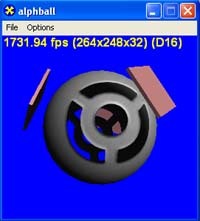 Demonstration of a ball with alpha effects, illustrates effect of alpha testing on sort dependency. 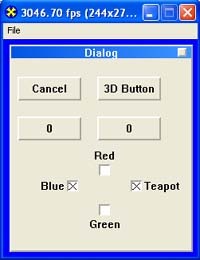 A partial framework and example showing how to create GUI dialogs and controls using 3D primitives in DX 8.